J. Peter Bergman writes a glowing review of our final show of the season. Lisa Jarisch raves in Berkshire On Stage. 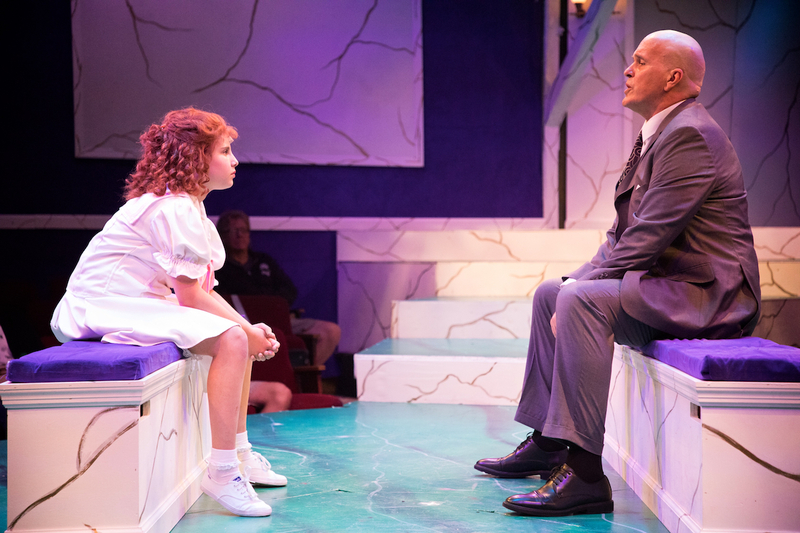 The wonderful people at “More Theatre Talk” sat down with Annie cast members George Dvorsky (Daddy Warbucks), Corinne Tork (Grace Farrell), and Gabe Belyeu (FDR) for their last interview of the season to discuss the production, the process and theatre in general.